2015 was such an amazing year! The film has gone further than we ever could have imagined and it's in large part because of all the support you all have shown us. Together we really are building a movement! The year started strong with a hugely successful Earth Day thunderclap campaign, reaching over 1.8 million people online about the film! 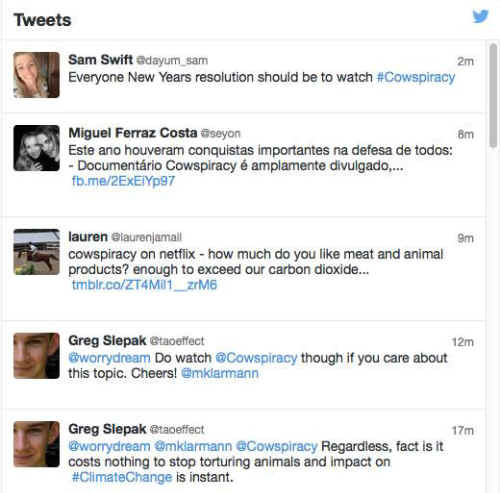 Thanks to you, we had over 20,000 people download Cowspiracy from our website in under a week! Over 20,000 of you signed our online petition urging the California Governor to stop the export of 100 billion gallons of water from the drought ridden state in the form of alfalfa to feed livestock in Asia. You celebrated the HUGE announcement that Leonardo DiCaprio had joined Cowspiracy as Executive Producer for the Netflix release of the film around the world! Since the film went up on Netflix, over 20,000 people have signed up for our free 30-Day Vegan Challenge on our website. You all tweeted, posted, 'grammed, and raised your voice about the film in every way you could, including a growing number of notable celebrity artists such as Moby, Kat Von D, Sierra Furtado, Travis Barker, Ruby Rose, and Alicia Silverstone! Watch The Most Shocking 1.5 minute video the world must see! 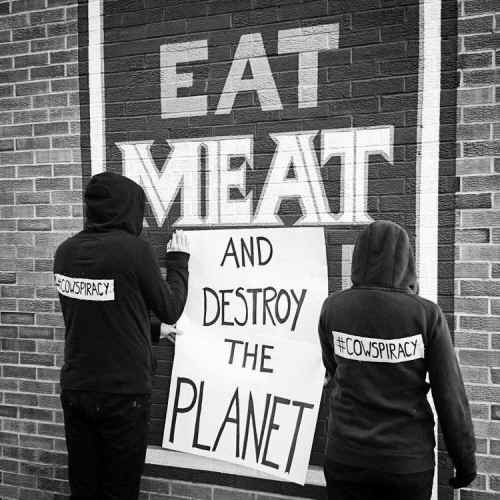 You took to the streets in mass at climate rallies around the world to make sure that animal agriculture wasn't over looked as a primary driver of climate change! Cowspiracy grassroots success has been able to speak truth to power! We were beyond honored to be invited to show the film to the European Union Parliament in December and the the Italian Parliament the following week! We have heard from thousands of you how the film has changed your lives and we want you to know that you have changed our lives too! The film is growing every day and we cannot thank you all enough for the continued support. As we march into 2016, we look forward to working together to create greater awareness and visibility of the impact animal agriculture has on the planet! From all of us at the Cowspiracy Team, thank you! PS. 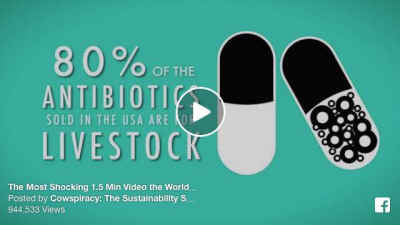 Cowspiracy was produced by AUM Films, a 501c3 non-profit organization. If you're looking for was to help further, a year end tax deductible donation helps us continue our work raising awareness.